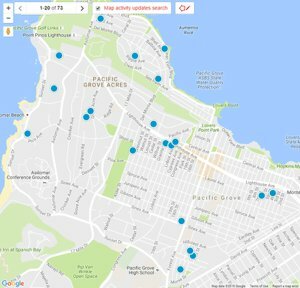 Search all Pacific Grove Water Front real estate listings for sale in Pacific Grove on one easy to use website. 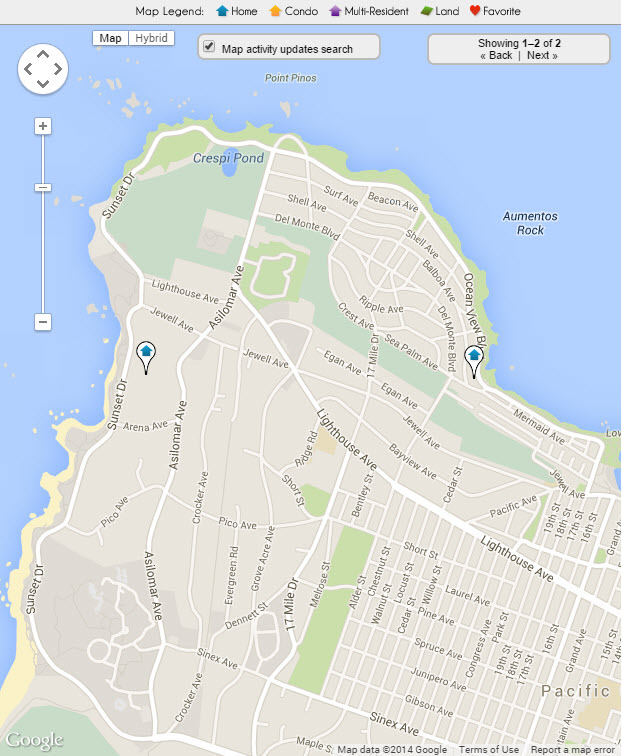 This Page shows the latest MLS Listings of Water Front Real Estate in Pacific Grove, CA. Pacific Grove Water Front real estate is the most luxurious and valuable real estate for sale in Pacific Grove and is also extremely limited. Water front luxury real estate properties in Pacific Grove are either built on the ocean side of the street on the granite coast outcroppings or on the other side of Ocean View Blvd. or Sunset Drive and offer incredible water front views of Monterey Bay, Spanish Bay, Lovers Point and the Pacific Ocean. Pacific Grove water front land alone is worth a small fortune, even if it doesn’t have a home on it, but these water front gems are very rare! If you are set on building a new luxury ocean front home in Pacific Grove, you will more than likely have to buy an existing home and knock it down. As you may have guessed, there is little to no water front real estate in Pacific Grove without a structure already built on it. With Pacific Grove's historical preservation rules, you need to be sure to do your homework prior to purchasing an water front home in Pacific Grove, especially if you want to knock it down and rebuild your dream home. 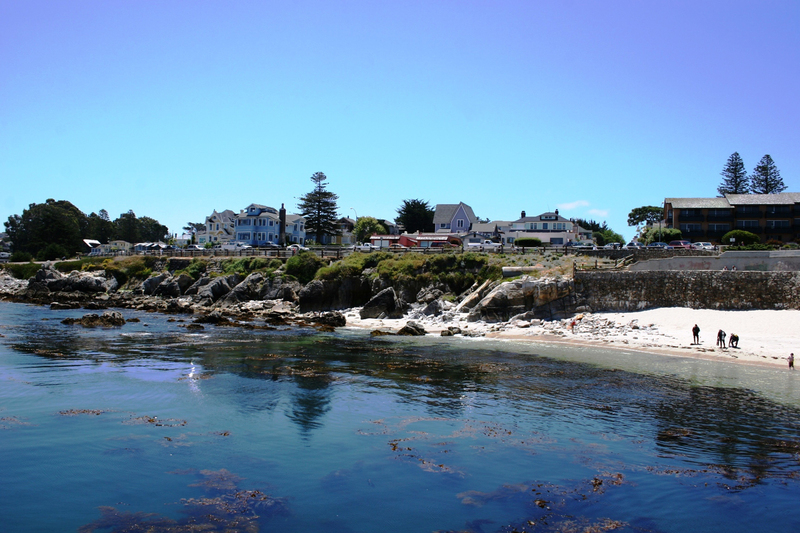 Our website has detailed information including Pacific Grove real estate statistics. 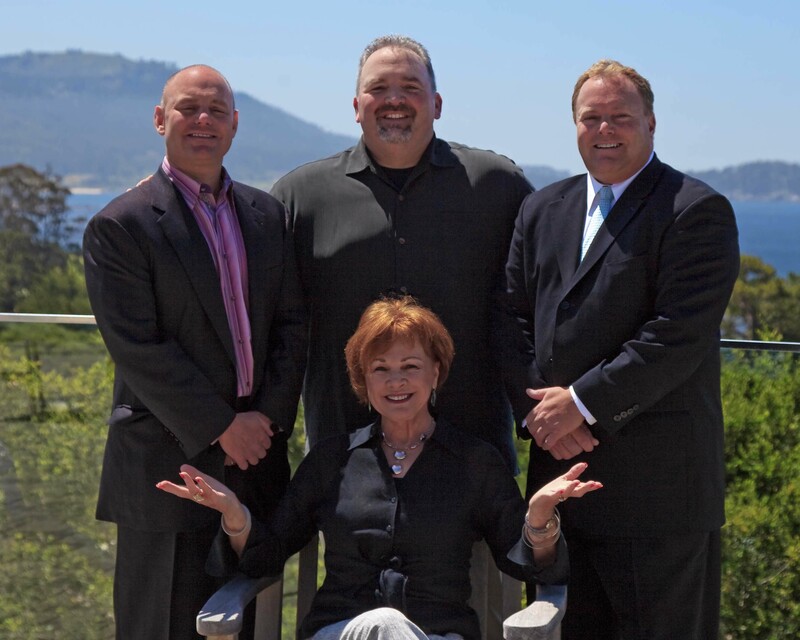 If you are interested in learning more about real estate values in Pacific Grove, CA or if you are interested in seeing the small selection of water front real estate in the Pacific Grove area, contact us. If you are looking for Pacific Grove water front real estate for sale with incredible ocean views, you can start your search below where you will find the 2 latest listings of water front real estate in Pacific Grove. For a full list of water front homes that are available in Pacific Grove, you can build an advanced search or to have us do it for you, contact us.